Vitaly Bulgarov is a concept artist who used to work at Blizzard on stuff like StarCraft. He’s now working on something a lot cooler. 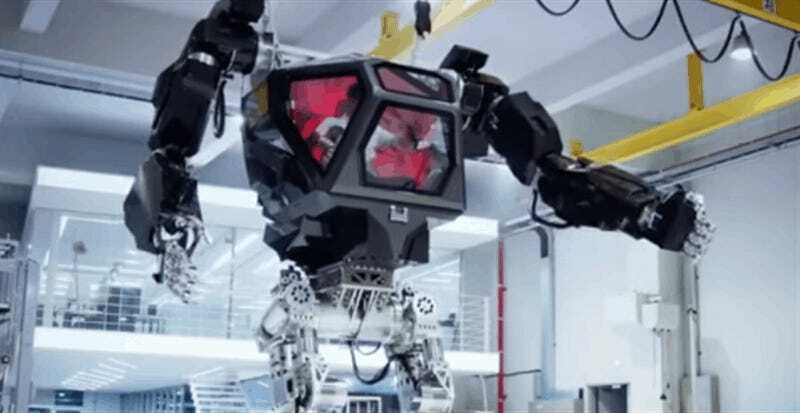 Bulgarov has been helping out a company called Korea Future Technology on their latest project, which is called METHOD-1: a big, real, functioning mech. Not a stage prop, not a promotional gimmick, but a serious attempt at working through the early stages of getting one of these things off the screen/comic book pages and into the real world. This mech isn’t being designed as a solution to real world problems, or as a homage to a Blizzard shooter. Instead, it’s coming at the situation from the other way around: KFT is building a mech to see just what scenarios it could work in, and what parts of its tech are more useful than others (so, say, if the idea of a bipedal robot was crap but those robot arms were useful, then using them somewhere else). You can see more of Vitaly’s work—including a lot of cool mech designs—at his personal site. Let’s hope it goes better than this.